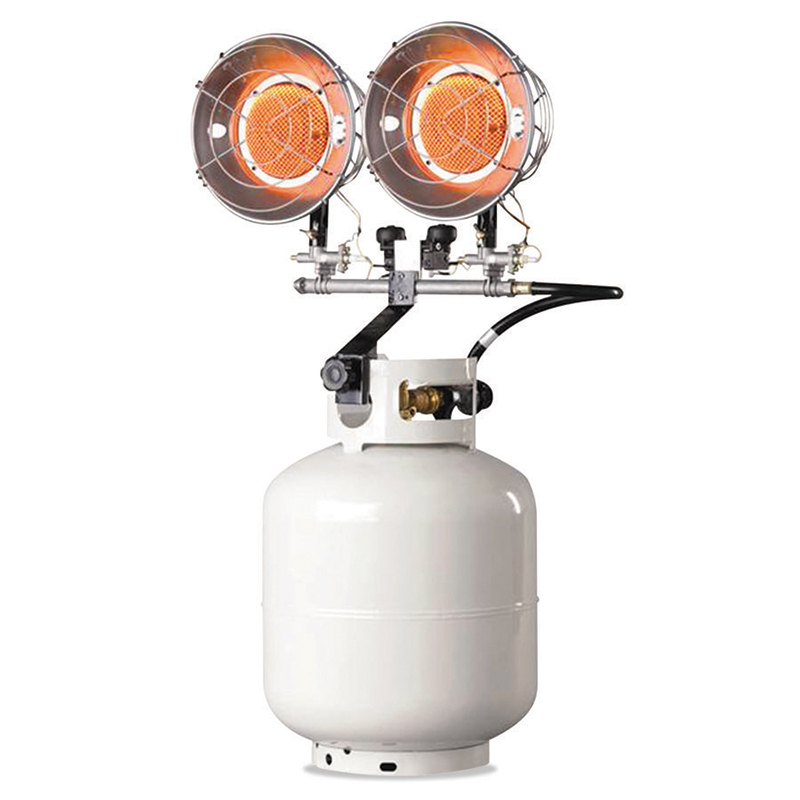 Portable propane 2-burner radiant heater features: heats radiantly with no loss of heat to the air, reaches full output in seconds, no electricity required, hi-med-low regulator and soft nose P.O.L., electronic spark ignition, single shutoff, 20 lb tank=run time of 14h-43h. 10,000 btu-30,000 btu. Tank sold separately. For outdoor use only.